We are delighted to partner for our 2019 Conference with Dublin City Council who are launching an exciting initiative as part of Smart Dublin. Register before 29th April 2019! An exclusive 3D Data City Hack (10-12th May) designed to stimulate innovation in how we use 3D data to develop new applications in areas such as Transportation & Mobility, Civic Engagement, Urban and Environmental Planning, PlanTech and Construction, Urban Infrastructure and Asset Use, Tourism and Gaming. Sign up and get access to a specially commissioned, highly accurate 3D Model of the Dublin Docklands. The model will be made available two weeks in advance of the Hackathon to all fully registered individuals and teams. Applications open on the 29th March. 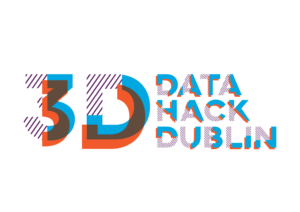 Exclusive access to a high quality 3D model of Dublin’s docklands district (Creative Commons License by Attribution). Work Alongside leading professionals in the 3D VR/AR space. 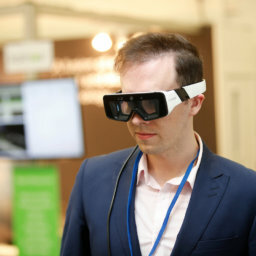 Be part of a longer term series of networking events and wider city showcase of the potential of 3D city data. Access to funding, in kind resources, and mentoring to support winning entries. Coders, app developers, , planners, architects, proptech community, Gaming community, VR/AR developers. Digital Construction Specialists. Software companies, Surveyors. Who Is Behind the 3D Data Hack? Dublin City Council (via the Smart Docklands Programme) and the Grangegorman Development Agency, in partnership with Public BIM and the Open Data Unit (DPER) and with the support of the Building City Dashboards Team at the University of Maynooth and the Department of Rural and Community Affairs.